Jack Barr – President | Beach Gardens Resort, Powell River Town Centre Ltd. & Western Mortgage Development Corp.
Jack is a Vancouver businessman who has been in the Real Estate industry for over 35 years and whose interests include Vancouver, Washington State as well as Powell River. Having a strong community commitment, Jack’s volunteer board activities include past experience as president of the Powell River Chamber of Commerce as well as Vice President of the Sunshine Coast Tourism. Other volunteer positions include Fundraising Chairman of the B.C. Learning Centres for Children with Dyslexia in addition to President of the Vancouver Masonic Centre Association, which is currently developing a 150 unit affordable rental housing tower in the heart of Vancouver. His affinity for the Sunshine Coast comes from a lifetime enjoying the environs of Pender Harbour as his family has had roots there for close to a century. Martin Prestage, owner of Up The Creek Backpacker’s Lodge in Roberts Creek, is a long time traveller and adventurer. Born in London, England, Martin spent 15 years as a Chartered Building Surveyor, before realising there was another world out there beyond supervising the construction site. Between 1990 and 1996 Martin took two long trips on the same bicycle, between the UK and Australia, and then from Calgary to Costa Rica, covering over 55,000km. During the second trip on North American soil, Vancouver’s beauty held promise of future dreams, and in 1999 soon became his new home. After a slow start, LIFECycle was formed, a multi-faceted bike education, repair and adventure company. Today, the business is Vancouver’s leading specialist in bicycle safety training for Elementary school children. Along with then 4 year old son Coulter, the family moved to the Sunshine Coast in 2004, and seized an opening in the Backpacker market. Up The Creek opened its doors on June 5th, one month after taking possession! Those first customers literally helped build their own beds. 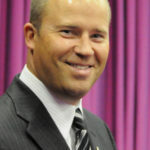 In between running two businesses, helping steer Sunshine Coast Tourism and parenting, Martin sits on the board of Transportation Choices (one of the two founding directors), advocating for cyclists and public transit users along the Coast. Christine Hollmann – Vice President | Founder, Director of Operations, Terracentric Coastal Adventures Ltd.
Christine is an outstanding adventure leader and educator who has worked in international youth development and adventure tourism as facilitator, guide, tours and programs director and manager since the mid 90’s. 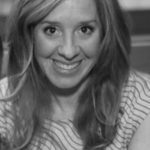 Christine is a creative and resourceful program planner with talents in building unique outdoor and adventure learning environments for people from all walks of life. Her adventure based workshops for students in alternate school settings have earned her a solid reputation as a leader in out-of-the box learning. With a BA in Psychology and a B. Ed /Teacher Certification along with industry certifications, Christine was lucky enough to grow up in Powell River. Her early adventures were outdoors with her family, whether in the garden, taking extended boat trips, searching for chanterelles, camping or hiking. Today she gets outside with her family on a regular basis, doing much of the same things she did as a child. Heather is an ideas driven entrepreneur with long standing ties to the Sunshine Coast. Having lived in Powell River as a child, Heather & her husband chose Halfmoon Bay when they decided to return to the coast after a 28 year hiatus in Northern BC. With a combined degree in Physiotherapy and Occupational Therapy, Heather utilized her rehabilitation background to make the leap to tourism and hospitality in 2003 with the opening of her first B&B in converted prairie grain silos. Heather is passionate about creating unique spaces where guests can connect with themselves, each other and nature in sustainable ways.She is proud that Pointhouse Suites has achieved a Gold Certification through Green Tourism Canada. 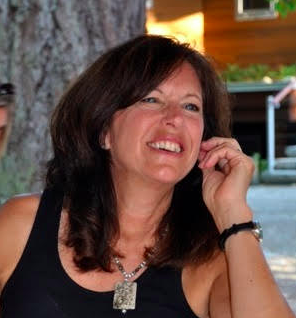 Heather’s experience with other volunteer policy boards includes stints as President and Treasurer of Canadian Parents for French BC/Yukon Branch, Treasurer and Vice President of BC Association of Child Development Centres, and Secretary and current Director of Sargeant Bay Society. As well she was a member of various ad hoc committees of BC Innkeepers Guild, SCBBCOA, and Northern BC Tourism. 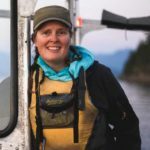 In addition to co-owning and operating Alpha Adventures for over 19 years, Jamie is an Outdoor Education / PE specialist teacher in the Sunshine Coast School District. 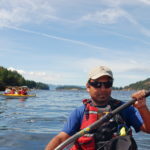 For over 5 years he taught in the TREK outdoor education program (Vancouver School Board) and has instructed outdoor pursuits courses for Simon Fraser University. He has a vast array of experience instructing children, adolescents, and adults. He has taught outdoor / environmental education through a number of programs in the lower mainland and Squamish. Having operated business locations on both the upper and lower Sunshine Coast, Jamie loves sharing year round adventures with tourists and locals alike. 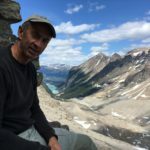 Chris’ tourism career started during the Canadian Diamond Rush on the shores of Great Slave Lake, NWT, working at floatplane bases with fishermen, bush pilots, and prospectors. He grew up working in a ‘travel’ family alongside his father in Yellowknife, where he developed and managed the first business in Canada to bring Japanese travellers to experience the Aurora Borealis. Chris is a graduate of Tourism Management at Capilano University. 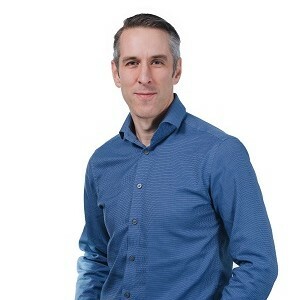 Over the past 20+ years, Chris has worked in Vancouver with tour operators, luxury travel agents and consumers, connecting travellers to authentic experiences across Canada. In his role with Homfray Lodge and Pacific Coastal Cruises he strives to develop travel experiences that allow guests to re-connect on a deeper and more meaningful level. Whether this means joining a grizzly bear viewing tour with an Indigenous guide or a naturalist lead small ship cruise, its about allowing guests to venture into a place that is different from home, giving them space to reflect and connect with fellow guests. From Howe Sound to Desolation Sound, the Sunshine Coast is perfectly positioned to offer some of the best authentic and genuine experiences in the world. Bob and his partner Maggie have been in the accommodation business since 1996 where they opened a B&B in Maple Ridge. Bob was one of the founding Directors of Maple Ridge/ Pit Meadows Tourism Society and remained on that Board until 2004. Once they decided to relocate to Texada Island in 2005 they opened Captains Table B&B for a few years and then made a change to only provide a vacation rental now called Texada Vacation Rental. Bob put his name forward to join the Tourism Powell River Board in 2006 and has been a Director for most of the time to date and is currently the President. He was also a Director for First Credit Union for 7 years and their first Director to complete the Accreditation Status, a program developed through Dalhousie University. Bob is currently the Chair of the Van Anda Improvement District and Past President of Texada Arts, Culture and Tourism Society. Linda has always realized the experiential and economic value of tourism on the Sunshine Coast and never misses a chance to “show it off”. She has been involved in the Arts and Cultural sector since 1995 when she moved here permanently from Vancouver. Her continuing experience with the non-profit society, Coast Cultural Alliance has given her the opportunity to work with people, governments and businesses from Langdale to Lund and provides an insight to the “Big Picture” overview of Arts, Culture and Heritage on the Coast. She is one of the organizers of the Sunshine Coast Art Crawl, the Gibsons Landing Jazz festival plus many other events throughout the coast and realizes the enriched cultural and economic value they bring as a destination for tourism, local businesses and participating artists in our creative community. 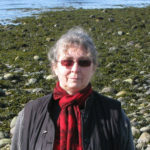 She has been involved with the Sunshine Coast Tourism board and the former Vancouver Coast and Mountains board since the late 90’s. Should you wish to contact the Board, please email president@sunshinecoastcanada.com.